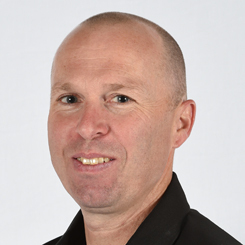 Paul started coaching at Gold Star in the spring of 2006 after an illustrious career in competitive gymnastics. He began gym classes in elementary school in Ireland, competing internationally on the Irish Junior National Team, and ultimately crowned All-Around Champion for the Senior National Team in 1985. He came to the Bay Area in the 1980’s and has been coaching ever since. He is certified in CPR and First Aid, has a USA Gymnastics Safety and Safe Sport Certifications. And on those winter days, when most people are inside, snuggled up in their favorite blanket, drinking hot chocolate, Paul is out running. What is his favorite pastime? Running in the rain.